Human behaviour flows from three main sources: desire, emotion, and knowledge. Plato. 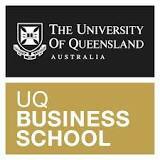 I am pleased to advise my association with UQ Business School Executive Education as an industry expert. Through this relationship, I am now working with UQ to identify opportunities to deliver customised learning solutions designed to create high-performing leaders, and high impact business results. By partnering with us, businesses can not only access my personal knowledge and expertise, but also the resources and latest research from one of Australia’s leading business schools. Give me a call if this is of interest to you.